Here we passionately design, plan and organize stylish weddings. our creative team is ready to rival your dreams. 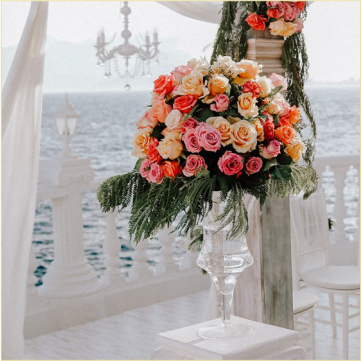 Nava & LightCUBE Wedding Planner is a dreamer's choice, and guess what, if you are considering Antalya as your wedding destination, you look like one! Wonderful Mediterranean nature, hundreds of 5* hotels and numerous ancient sites make Antalya a fairytale wedding destination. With a detailed eye on your sense of style we form your dreams into a meaningful design that reflects your shared values. And we know that is half of the story; we work with the best in the business including the most exclusive hotels and wedding venues to ensure that you and your guests are having nothing less than an exceptional experience. Being a #ForDreamers Wedding Planner takes us to have passion for excellence. We strive for beautiful executions and our purpose is to exceed your expectations; we are proud to see how far we have come. Just have a look at the testimonials or ask for a reference. We have always been very pleased by hearing generous feedbacks of our lovely clients from all around the world. We assist each and every client in creating memorable, unique celebration, so size doesn't matter. Don't hesitate to say "Hi" if just two of you have started to dream about a beach vow renewal.